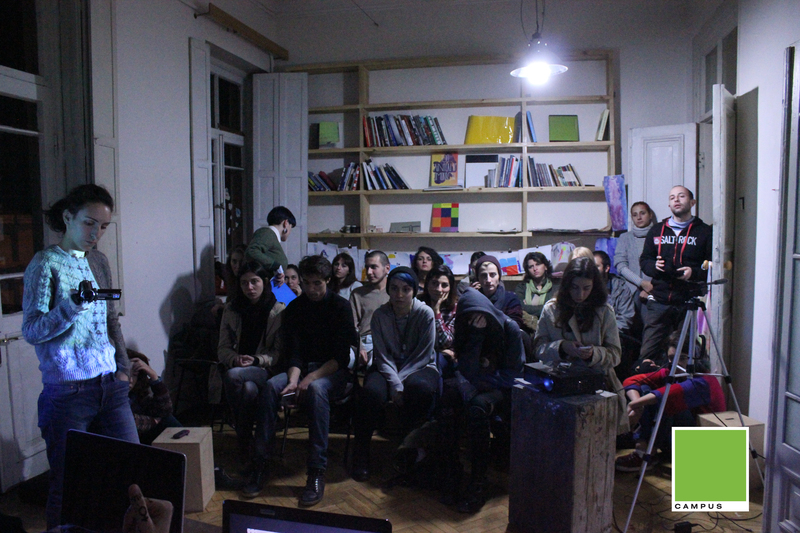 Campus is a new alternative art space in Tbilisi, Georgia that artbooksonline/art book cologne recently supported with books for its library. The Campus founders Natalia Nebieridze and Michael Khundadze present the story behind Campus. 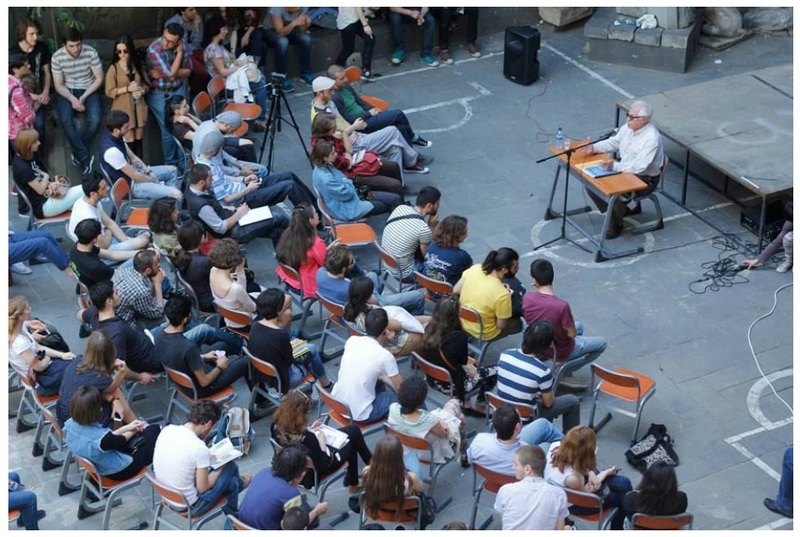 The history of Campus starts in 2014, when students and professors started the movement “Sense of Crisis” in Tbilisi State Academy of Arts. This movement was about to change the old methodology of teaching and the old system in this institution. 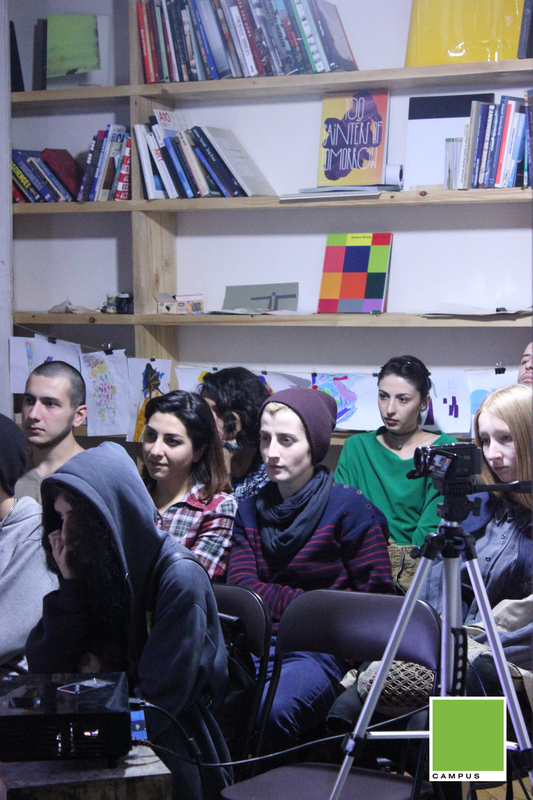 Students and professors, independent artists, art critics and architects gathered to change the attitude about teaching art in Georgia. This open group organized a series of public lectures “Sense of Crisis” which was held in the courtyard of State Academy of Arts. During this process 12 of the most important professionals/experts from different fields were invited to analysis and talks about the crisis in teaching art, at the Art Academy – they were from the fields: art, psychology, architecture, philosophy, art criticism, journalism, poetry, literature, music, etc. All these experts were trying to discuss the topic form their own territory, to find new ways for overcoming the crisis as we called our situation at that time. After this movement inside the Academy, we saw a huge necessity to find a location, where art students, professors and people of related other professions could gather, talk, discuss some prevailing hot topics and have a working process, which was not possible inside the State Academy of arts. So we started thinking about a space and topic. Luckily, we found a very beautiful and charming old space in the old area of Tbilisi. It was was very important to articulate the general topic of activity of the newborn centre which we call „Campus“ as we had one year to clarify what we wanted to communicate. So we started from the problematic of understanding and saw that it was very difficult to find important information about art, about artists, we saw that here in the city there is no library for contemporary visual arts, artists or architects, and you cannot really know what is happening in contemporary art. There is no ambience for reflecting the specific world of Western cultural/visual signifiers, yet to approach and interiorize Western visual language was critical. There is the argument that you can find everything on the internet, but our experiences were saying that physical space for reading and getting information was much more interesting, a space where one can talk with others who are also interested in the same topics. 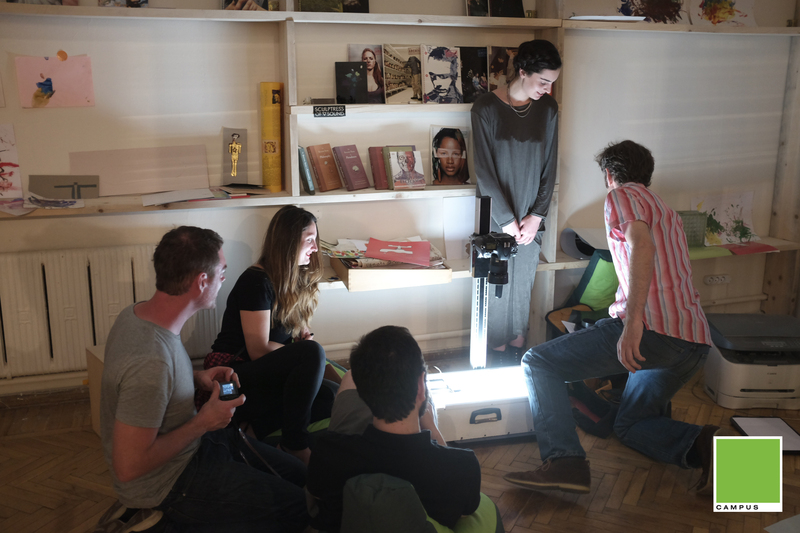 So we developed the idea of having an Open Art Library – a space, which could also work as an Art Laboratory. After establishing Campus, we started active work for students and for everybody who is interested in art and architecture as a series of different events and lectures. 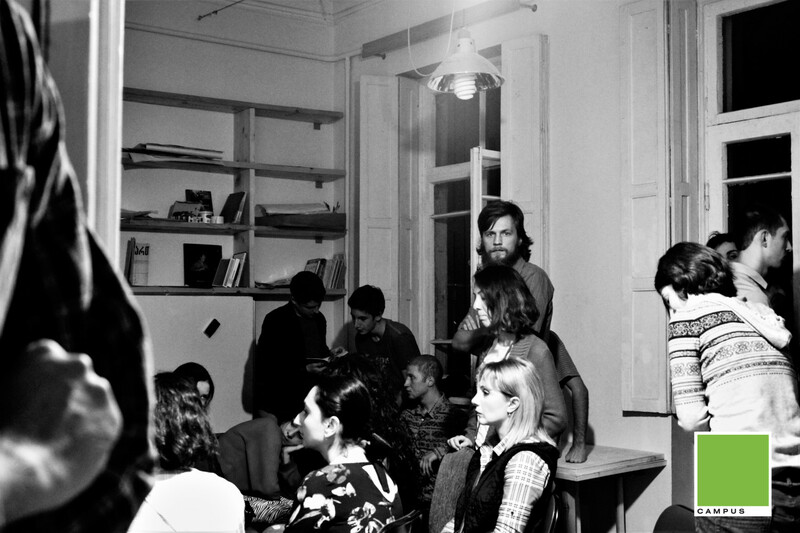 One of our first events was Mrs. Julia Bünnagel’s (Cologne based artist) sound performance, which made Campus very popular within Tbilisi art field. Julia Bünnagel is a contemporary sound and sculpting artist based Cologne, and she’s a very good friend of Campus supporting and helping it in many different ways. Also Mr. Steffen Fischer, director of Museum Goch, Germany, was our guest and is a devoted friend of Campus. 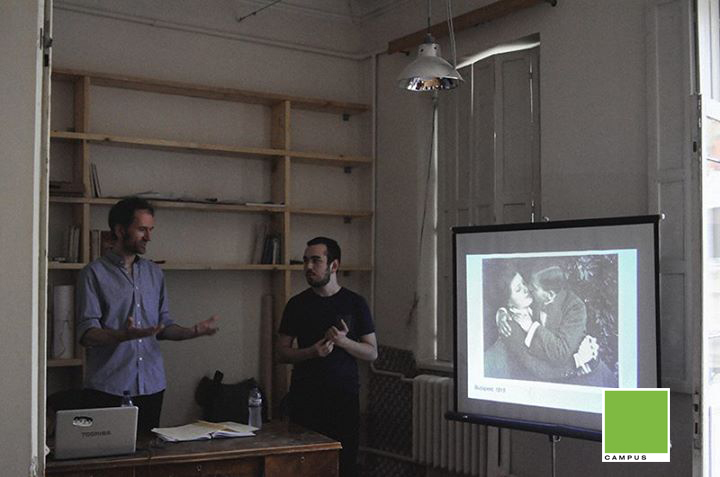 In Campus, London based artist Angus Leadley Brown started a workshop for analogue, wide film photography that gained a great deal of interest among young artists. 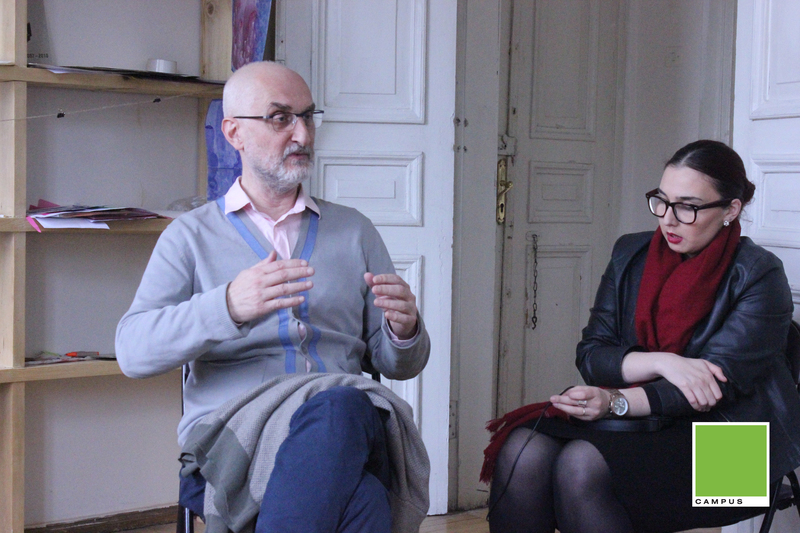 In October, Campus and students had invited Gia Edzgveradze for a colloquium. Gia Edzgveradze as a main advisor of Campus helps us with his immense experience and widely grasping, controversial attitude towards contemporary culture, which opens new capacities of cultural visions. His artistic studies are very important for our institution, its members and students. One of our first projects also was to open the doors for the neighborhood youth, to give them the chance to be part of the processes taking place at campus. They are free to attend our public lectures, giving them direct access to art professionals. They are still very active and happy to work together with us. 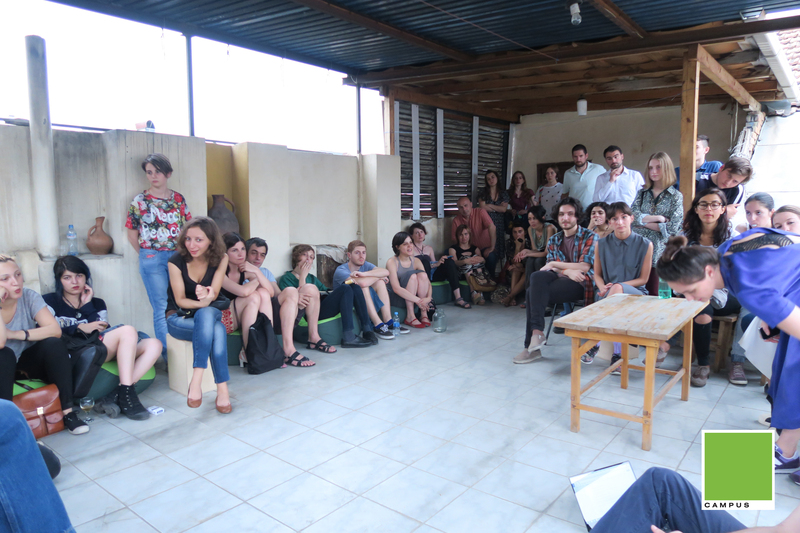 Campus has become a field of inquiry in theory and art practice for not only neighborhood youth but also the students of different universities, who spend their free time at Campus, reading books, kindly supplied by ArtBooks Cologne. They also have the opportunity to invite any expert they find interesting for the Saturday lectures we keep running at Campus. With the support of our advisors and experts who are the best professionals in their fields, Campus became a leading force in the city for theoretical discourse in Contemporary Art, Architecture and Urban Planning. Our Advisors and experts are Gia Edzgveradze (artist and theorist, Dusseldorf), Zurab Bakradze (architect/city planner, Berlin, Tbilisi), Gogi Khostaria (art historian, Tbilisi), Tamara K.E (N.Y based artist), Maia Naveriani (artists based in London and Tbilisi) and Angus Leadley Brown (Photographer from London). As our public lectures became popular in the city, we started to invite professors of different disciplines. In October, there was series of public lectures about Friedrich Nietzsche read by Professor of State University Koka Bregadze. It is planned to have an Art Therapy Day with one of the leading physiologic experts in the country, Dr. Natia Panjikidze. Irakli Kakabadze (Sociologist) and Robi Kukhianidze (Musician) are going to make events unfolding texts of Jacques Derrida. 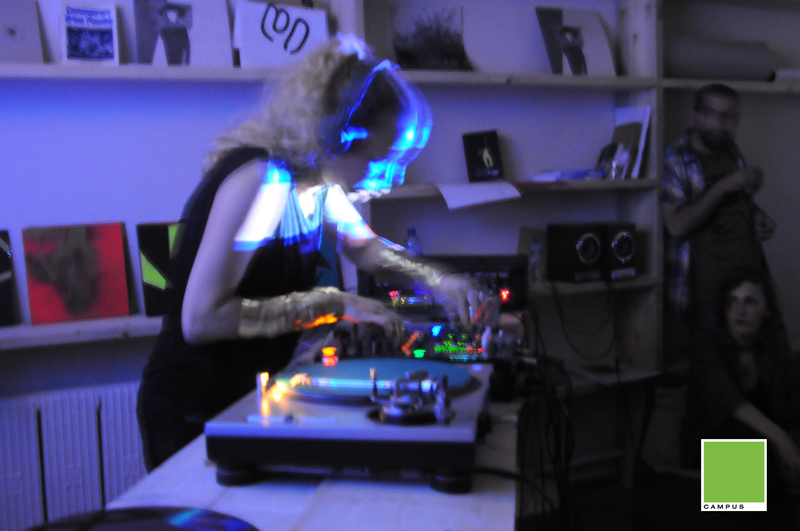 We also have plenty of experimental music performed by leading DJs. An ongoing and very important project is “From Grey To Green”, which works for urban change. In this project our advisor and expert is Mrs. Frauke Burgdorf (city planner based in Dusseldorf) and Zurab Bakradze. The project researches ways to correct the existing architectural crisis in Tbilisi. Together with campus students and artists, Campus established a new movement/project named “Material Hunters.” This process is open for everyone who is interested in cities, in former Soviet Industrial Architecture buildings, public spaces and their soul. “ Material Hunters ” are searching for materials all over the country, are researching founded places and are transforming found material into artwork, or are publishing info about found space online for others who can easily reach it and use it. Material Hunters are searching for the souls of the buildings and try to renew them. Campus was very happy to get in contact with artbooksonline/art book cologne. This connection got possible with help of Julia Bünnagel. artbooksonline/art book cologne has donated Campus with very important and special art books, which are in active use by our students. Campus members are different by age, status and professions. Founders of Campus are Michael Khundadze (Culturologist), Natalia Nebieridze (Architect) and Irina Guntsadze (Art Historian). Members: Giorgi Kartozia (Fine Art student), Giorgi Nishnianidze (Architecture student), Dachi Chezshia (Architecture student), Mariam Ghudushauri (Architecture student), Mariam Karchkhadze (young Architect), Kakha Avalishvili (Fine Art student), Giorgi Namgaladze (young Sociologist), Rezi Gvaramadze (young Artist), Ani Chorgolashvili (Art Critic). Very nice post. I just stumbled upon your blog and wished to mention that I’ve truly enjoyed browsing your blog posts. After all I’ll be subscribing in your feed and I am hoping you write once more soon!